Everything you need to know about Vanilla> When are Vanilla beans harvested ? Home > Everything you need to know about Vanilla> When are Vanilla beans harvested ? Differentiate between non-mature vanilla, mature vanilla, split vanilla. 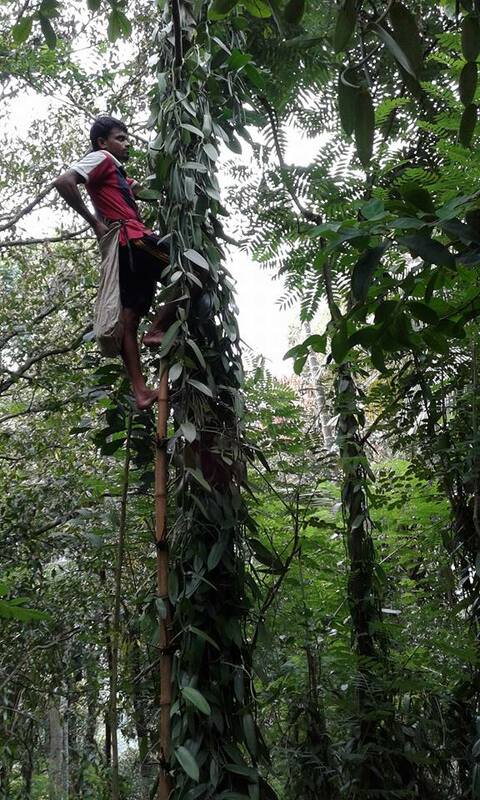 Once a flower on a vanilla plant is pollinated, the bean starts ripening for 8 to 10 months. It will stop growing after 2 months. The less pollinated flower on the same vine, the bigger the beans. When beans are harvested too early, the level of vanillin in each bean is too low to use properly. The final result will be underwhelming, even after refining. 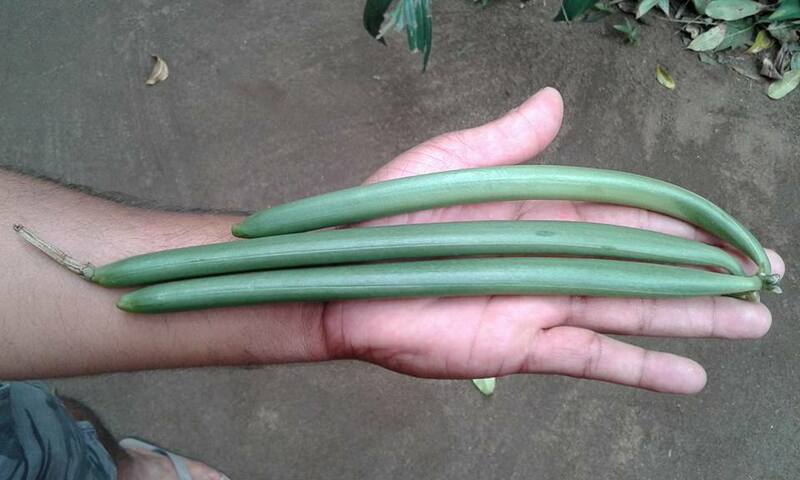 You can distinguish non-matured beans from others as they are still green. 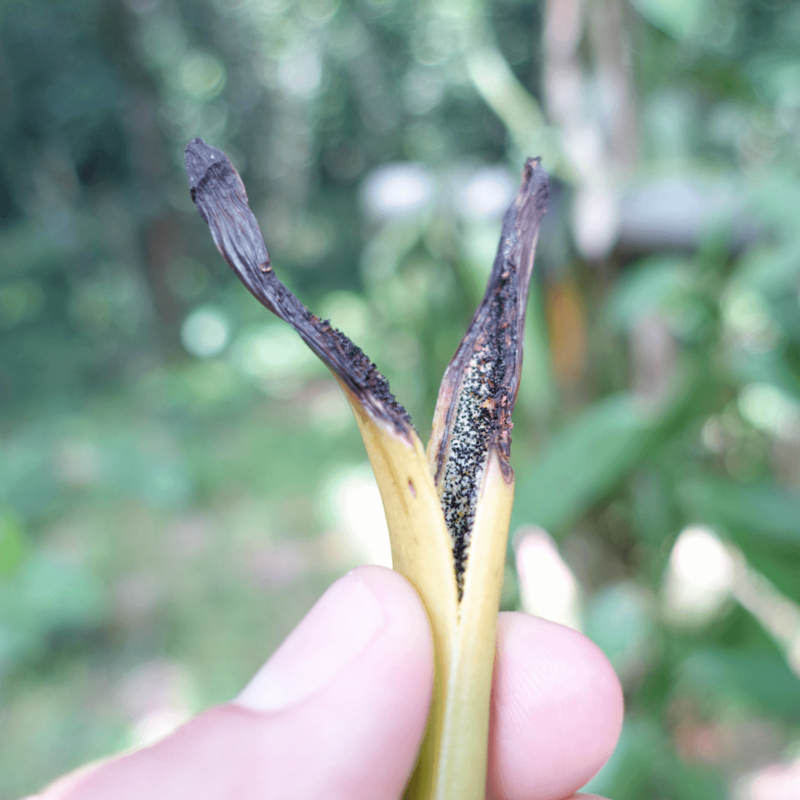 On the other hand, when you leave the bean to mature for long enough on the Vanilla plant, it will end up cracking, just like an over ripe fruit with a high level of sugar. Customers tend to prefer non-cracked beans but they are my favourites! It is a common mistake to think a cracked bean indicates low quality and bad ripening conditions, when in the end, it's the other way around. After going through the maturing process my producers and I agreed on, they will reveal an impressive and wide aromatic palette. Vanilla beans are harvested when they're fully ripe. You can see they've reached that point and it's time to harvest them when their tip starts getting yellow-ish. Producers have to answer to the customer's desires and needs. Customers want ripe but non-cracked beans. Even when they're harvested after ripening for 8 to 9 months, their aromatic range is still wonderful and very well-developed. After the harvest comes the maturing process. My producers and I agreed on the best maturing process possible to offer the greatest products we can. When I receive all my product, I run a final quality check before starting selling them. My customers deserve the best of the best and I'm here to make sure of it!